Expatriates should use a VPN for many reasons. VPN means Virtual Private Network. This type of application creates a secure tunnel between your computer and the VPN server. When the connection is established, you then get a new anonymous IP address. Whereas online security and anonymity are the main concerns of most VPN users, expatriates often use a VPN for other reasons when they live abroad. A VPN service can unblock the sites censored by the government of their country of residence. If you are an expatriate in China or in the United Arab Emirates, many websites such as Facebook, Gmail, Google and Youtube are censored. 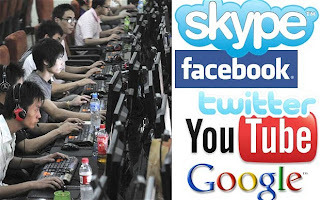 In China, for example, Internet censorship involves a slower Internet service across the country, as the flow of information must pass through the firewall. Censorship is one of the reasons why the internet can be slow. Routing problems are also a common phenomenon that can lead to delays in loading pages or slow downloads. Streaming media sites such as CNN, TF1, M6, Rai Uno or iBBC Player are geo-restricted. If you connect with a foreign IP address, you will not be able to access the content of these sites. By providing you with a virtual IP address, Le VPN hides your real location. This allows you to avoid this kind of frustration when you try to connect with the Internet properties of the country where you are based. Le VPN is also available for your mobile devices – mobile phone or tablet – for a free and unrestricted Internet. Learn more about Le VPN’s VPN service for Expatriates and subscribe today.